Should You Upsize Your Home When Your Kids Are Teens? By Melissa 2 Comments - The content of this website often contains affiliate links and I may be compensated if you buy through those links (at no cost to you!). Learn more about how we make money. Last edited June 12, 2018 . As your children grow into the tween and teen years, your house can begin to feel cramped. The kids have an increased need for privacy, and they are likely to have more friends over. They may have more “stuff” as they take part in band, sports, and extracurriculars. As parents, you may not like having your teen children in bedrooms right next door to your bedroom because they go to bed later and are noisier. All of these reasons and more are why people often upsize in housing during their children’s tween and teen years. Yet, is this really necessary? Roger and Payton decided to build a new house when their kids were 11 and 13 for all of the reasons stated above. The new house had 1/3 more space, and the floor plan was split so that the parents’ bedroom was on one side of the house, and the kids’ bedrooms were on the other side with a living room in between. They moved in when the kids were 12 and 14. They loved the house, but within four years, their oldest son moved out. And while their younger son lived at home while he went to college, they realized they could have easily stayed in their old home, which was plenty big enough for three people. When you upsize to a larger home, you’re going to face increased expenses. With a larger house comes an increase in utilities, taxes, and maintenance costs. These extra expenses may run several thousand dollars or more per year. 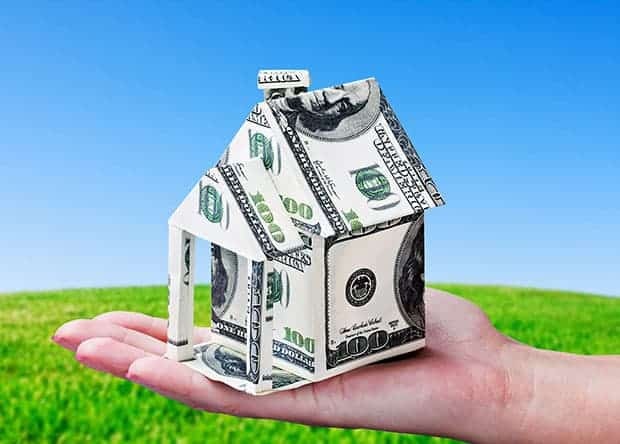 In addition, you may face a larger mortgage payment when upsizing, unless you made a considerable profit from the sale of your smaller house and were able to make a large down payment. Not only will you likely have a larger mortgage and other routine costs mentioned above, but you’ll soon be facing many other expenses that come with the teen years. You will likely have to pay auto expenses for your new fledgling drivers, including car insurance for teen drivers, which can be pricey. In addition, teens may be involved in more expensive extracurriculars as well as social events like prom. Soon, your children will be off to college, and you may want to help pay some of those expenses, if not tuition, then perhaps some spending money for the kids. Again, this will likely add thousands of dollars in expenses into the budget yearly. As if all these increased expenses weren’t enough, this time of life is also when aging parents may need help. Perhaps an elderly parent requires additional care, so one spouse must cut back on his or her work hours to spend more time with the parent. Maybe the elderly parent needs additional financial support. Finally, this is the time when many people try to increase their retirement contributions. Substantially adding to your retirement can be difficult when you’re shouldering so many other financial burdens. Many, many people upsize their homes when their kids are tweens and teens. For families who are in a strong financial position, this is fine. But for other families, staying in their current home, even for the few years when kids are teens and space feels tight, may make a world of difference in their finances as they face more expenses with their teens and their aging parents as well as their own retirement needs. If you are the parent of teenagers, did you choose to upsize your home, or did you stay in the house you already owned even though it felt cramped? What Paperwork Do You Need To Get A Home Mortgage? Last Edited: 12th June 2018 The content of biblemoneymatters.com is for general information purposes only and does not constitute professional advice. Visitors to biblemoneymatters.com should not act upon the content or information without first seeking appropriate professional advice. In accordance with the latest FTC guidelines, we declare that we have a financial relationship with every company mentioned on this site. We aren’t there yet (our son is turning one this summer! ), but I hope that this is our forever home. I’m trying hard to raise my baby as a minimalist while we declutter our stuff. It turns out, it’s much easier to work with someone who has nothing than it is to get rid of all the junk we already added. I have had a lot of people tell us we will regret only having a three-bedroom house if we have more kids, though. Our in-laws had a large home with four bedrooms and 2 1/2 bathrooms, and a three-car garage, which they converted to another bedroom for their mother-in-law. But the kitchen was small. When the 3 kids had all graduated from high school and one got married and they decided to live at home with a baby, they did the kitchen remodel thing, and one “small” change (a new large outside window) necessitated a bunch of changes which eventually cost over $65K. Now two of the kids have moved out. How right you are! !